The Ritz is exactly what it says about it's self, pure opulence in which you can immerse yourself to what ever level you wish. Service was second to none and all staff so polite and professional. It was pretty good. The towel warming rack was a nice touch. My only complaint was that my safe wasn’t working. I reported it my first night there and was told it would be fixed, but it wasn’t. 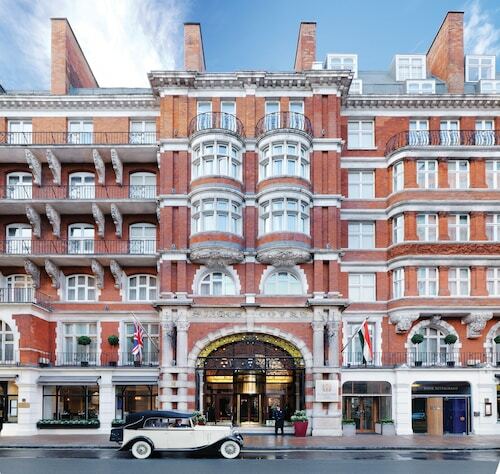 This beautiful Victorian hotel is located on the Strand, an easy walk to the Westend, Buckingham Palace, Westminster and Covent Garden. ., also two stops to West Kensington to see the British Museum of Natural History, and a short walking distance to Buckingham Palace. Perfect for Apollo Theatre (Wicked), Victoria Underground for rest of London, If you like walking close enough to Buckingham Palace. We were able to walk all over the city, we were central to everything we needed, and it was a five minute walk to Buckingham Palace! Buckingham Palace is located in a vibrant area of London known for its stunning river views and stunning architecture. The neighbourhood is home to 3361 hotels and other accommodation options, so you can find something that works for your stay. Park Plaza Westminster Bridge London: This 4-star hotel features a full-service spa, 2 restaurants and an indoor pool. Our customers like its central location. 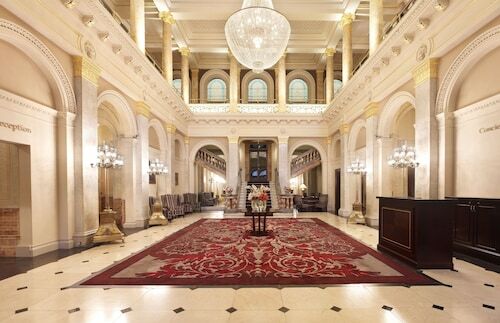 St. James' Court, A Taj Hotel, London: This 4-star hotel features a full-service spa, a restaurant and free WiFi. It's a favourite with Expedia travellers for its central location and comfortable rooms. The Grosvenor Hotel: With a stay at this 4-star hotel, guests can enjoy access to a restaurant and a fitness centre, along with free WiFi. It's a favourite with Expedia travellers for its family-friendly amenities and central location. After you've visited Buckingham Palace, you can explore the sights and attractions within a couple miles of the area. You'll want to browse the collections at Westminster Abbey, National Gallery and The British Museum. While you're exploring, swing by Piccadilly Circus, Houses of Parliament and Big Ben to learn a bit about the area. You can watch performances at Her Majesty's Theatre, Theatre Royal Haymarket and Piccadilly Theatre if you're interested in local theatre. If you want to see more of the surrounding area, you might plan a visit to St. James Park and Piccadilly. Spend some time checking out Victoria Palace Theatre, which is 0.4 mi from Buckingham Palace, or make a stop by Green Park, located 0.4 mi away. With so many ways to get around, exploring the area around Buckingham Palace is simple. 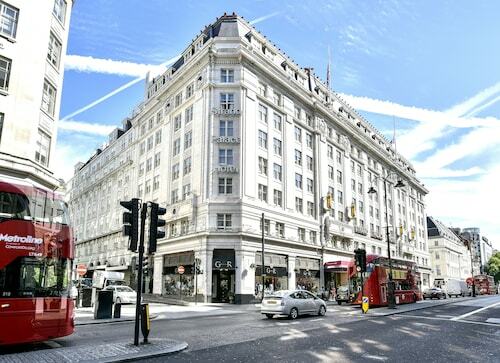 You can take advantage of metro transport at Piccadilly Circus Underground Station, Green Park Underground Station and Leicester Square Underground Station. If you want to journey outside of the area, jump aboard a train from London Charing Cross Station, London Victoria Rail Station or London Waterloo Station.